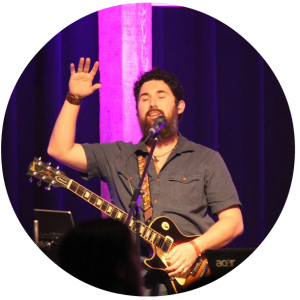 Harvest Worship Band, based in Troy, IL, is comprised of worship leaders and ministry minded musicians from around the region. 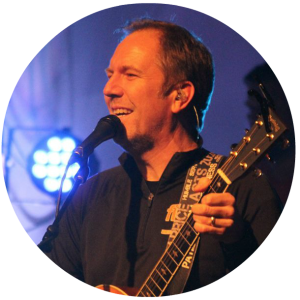 Harvest leads worship and serves in conference ministry around Illinois and the Midwest. Registration $45 per person – includes program, snack, lunch, recreation and a *t-shirt. (Must be registered by October 10 to receive a free t-shirt). Ignition Conference is held on Saturday, but your group can turn it into a weekend retreat! Reserve motel rooms for Friday evening. Head toward Troy, IL, stop for supper with your group, check into the motel, swim, then meet for worship, prayer, devotion and community building. The next morning, wake up, have breakfast and drive over to Ignition! Reserve motel rooms for Saturday night. Leave early from your church Saturday morning, attend the Ignition Conference from 9:00 am – 4:30 pm, then go have some supper check into the motel, spend some time swimming and playing, then meet for devotion, debriefing the messages at Ignition and prayer. The next morning, wake up, have breakfast and attend worship in Troy. The service time options for the Family Life Center Worship is 9:00 or 10:45. 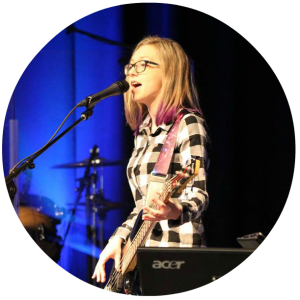 The service message and theme wouldn’t be connected to Ignition, but many of the same band members would be leading worship that morning and you would be welcome – plus there’s great coffee and donuts! All groups are responsible for their own extra programming for a retreat around the Ignition Conference. If you have any questions, please let us know. Get students who have attended in the past help you invite others. Get commitments from a few core students and then start inviting others. Talk with parents about students coming on this fall event. Set a deadline for registration. Check with church leadership about committing to fund a portion of each registration to get the maximum number of students to attend. Talk about the trip during student ministry meetings and on Sunday. When the deadline is approaching, text your students and inquire if they are attending. Give a prize for any middle school students who sign up a friend. This is a great weekend to invite extra adults to come and serve as sponsors along with you. Line them up early! Make it a really fun and well organized weekend and appreciate each student who decides to attend! We minister to those who respond. *special publicity note: Students don’t just look at a poster and decide to attend a conference. It’s typically built on relationship. Invite students, get a critical mass to commit and then hype it up. Thanks for your ministry in getting students to sign up for a weekend like this! It can make a life changing difference in their faith walk. >> Read: 9 Ways to get students to turn in forms on time! Youth Pastors, Pastors, Student Ministry and Sunday School teachers will invite students from their church (and all their friends) to attend Ignition. Groups, ranging in size from 3 to 30, will travel together to Ignition, register as a group and will participate in the event. During the elective seminar time, youth workers are invited to attend a short networking and equipping time. This is optional. Harvest Conferences is a ministry of Harvest Ministry based in Troy, IL. Harvest has been in existence since 1996 with a mission to help the church make disciples. 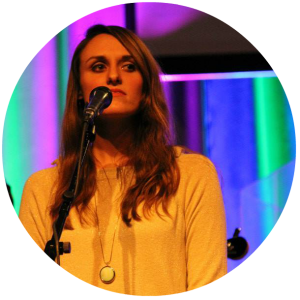 As an inter-denominational event, Harvest Conferences seeks to lift up the name of Jesus and invite students to follow Him. Though there is no way to control every word spoken by guest speakers and presenters, but as a ministry, we strive to base our work around the Great Commandment and the Apostles Creed. Cancellation Policy: There will be no refunds for cancellations within 30 days of the event. Food Allergies: Students and adults with food allergies are welcome to bring their own snacks / lunch for the event if necessary. Typical menu includes a variety of prepackaed snack, granola bars, fruit, bottled water for snacks and for lunch it’s pizza, chips, carrots, dessert and drinks. Discipline Procedures: We rely on the leaders who brought students to carry out needed discipline for students who don’t abide by conference rules. Weather Policy: If the conference is cancelled due to inclement weather, a credit will be issued to registered participants for a future conference. If the conference continues, but groups are unable to attend, no refund is given. Program Changes: Harvest Conferences reserves the right to change speakers, seminar leader and program details without advance notice. Transportation to Recreation: Each group is responsible for their own transportation to recreation on Saturday afternoon. Depending on the site, recreation may be close enough to walk. Spending Money: Though no extra money is needed at Ignition, there are opportunities to purchase Ignition T-shirts, CD’s and other items. Sometimes students bring spending money for snacks during recreation (if a snack bar is available).